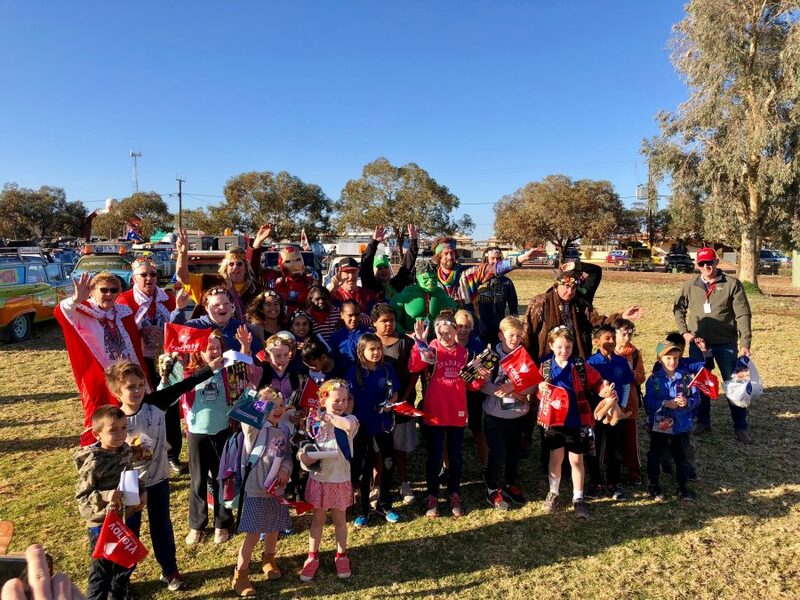 Today the Variety Bashers were hosted for breakfast by Coober Pedy Area School, which caters for students from 49 different cultural backgrounds. 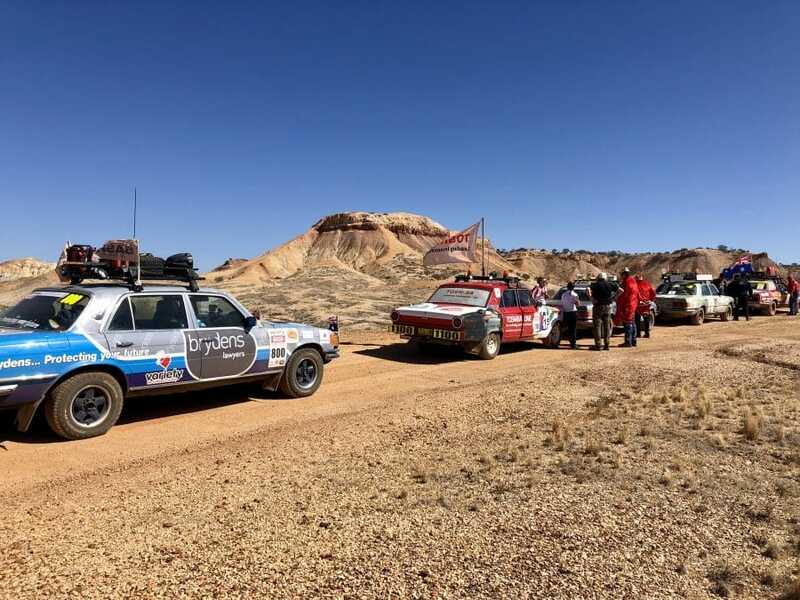 After leaving the ‘opal capital of the world’, the Bash cars headed north, navigating bumpy roads before stopping for photos and a cuppa against the backdrop of the Painted Desert at Arckaringa Station. Onwards the Variety Bashers went, enjoying lunch at the Pink Roadhouse in the small town of Oodnadatta. 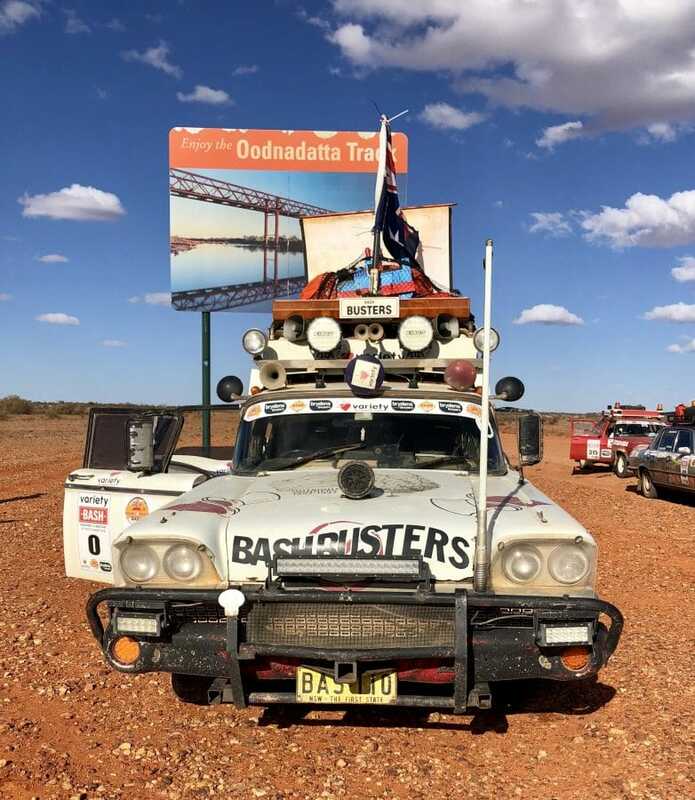 After a days driving of 430km, home for the night was Marla, where many of the towns 100 locals came out to welcome the colourful and dusty Bash cars.